The Family Life Office offers resources on everything from how to plan a Catholic wedding to parenting tips on children from birth to teen. We also offer information here on how to adopt through Catholic Adoption Services. We hope this information is helpful. For more information, please Contact Us. This page offers details on Natural Family Planning, adoption, related Church teachings and articles on everythng from how to take young children to Mass to what to do with teens who know one parent will say yes. To learn more, visit Parenting Resources. 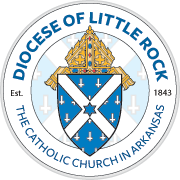 Catholic Adoption Services — Non-profit, Arkansas-licensed, child placement agency and ministry of Catholic Charities of Arkansas. With more than 30 years of experience, our staff is available to serve birthparents and adoptive parents.